I have a 2006 Accord VP. Earlier I added the rear speakers and now I what to add a Kicker ZX300.1 with Kicker 10" subs box. My question is can I connect the input wires from my rear speakers to the amp? Will the rear speakers still work fine and neither effect the other? When I got the amp/sub it had speaker wires hooked up to the Hi-Level Input connection on the Amp. Can these wires go to the rear speakers or do I have to get RCA jacks to connect to the rear speakers? you should be able to use the high level inputs without a problem off the rear speakers. I made some rca jacks and it seems to work but I am going to try the Hi-Input to see what difference I get. 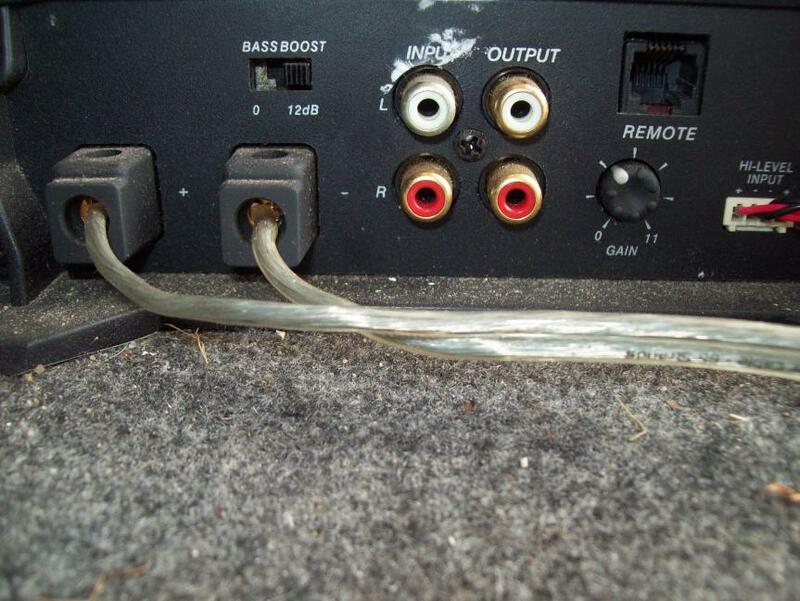 the RCA inputs are limited in voltage before you damage them. the high level inputs can handle much higher voltage (like what feeds speakers). if you have speaker wires connected to the amp, they need to be into the high level inputs. Socal: FS : AXIS TC EVO 19 INCH PLUS 2 800 WATT KICKER SUBS. 2013 LX Radio Code Not Needed?